During these past few months I have been helping students plan their next chapter in life, and there is a lot of excitement in the hallways. All 50 graduates have received university acceptances to some exceptional programmes from some of the world’s most selective post-secondary institutions and programmes. At the same time, it is a challenge to prepare them for a future where many of the jobs that will likely employ them do not yet exist. Manager of A.I.? Low-Orbit solar energy technician? Underwater tidal turbine engineer? Sounds interesting but what are they? 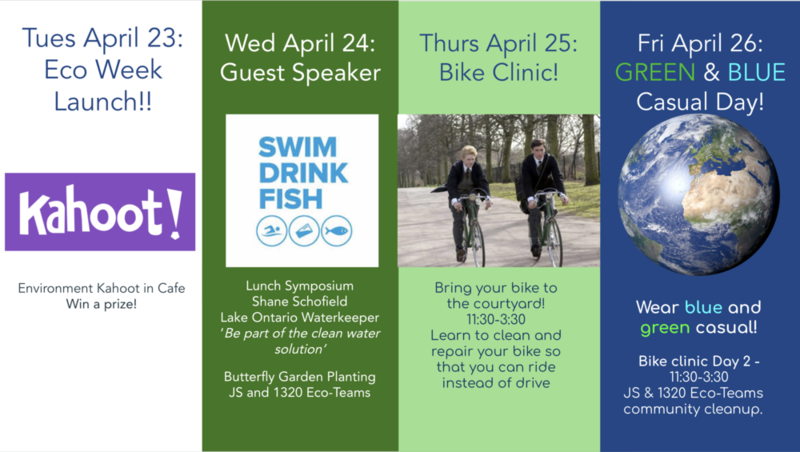 Next week is Eco-Week at The York School so this is a good time to look at future trends and how they relate to the future vocations and the skills our world needs. There are two mega trends currently that offer opportunity and challenge. There are now 7.5 billion people living on earth. 50% live in cities. Over the next 75 years an additional 3.5 billion people will move to cities and everything is going to change. NYC will have a population of 30m, Hong Kong 11.4,, Mumbai will be over 67m, Toronto will be 8.3m. Many more cities in the world will double in size..
During that same period, environmental pressures will double, and many will tip and collapse (climate change, fisheries, toxins, fresh water...). This future will unfold in our lifetime and be the reality of our children. The future is developing along two distinct story lines. One positive and one negative. The positive story is being expressed by growing prosperity, political transparency, improving global health and happiness, technological leaps that engage more and more people in meaningful ways, and the accelerating movement if ideas. The other story, the darker one, is about increasing economic disparity, corrupt systems, strained financial markets, exploding urban populations, and deeply declining environmental conditions. As our socio-economies transition, our role as educators must also change. As we guide our students into this future, there are key skills they will need to lead through the challenges. Critical thinking, curiosity, collaboration, and creative problem solving will bring about the adaptations we need to make to realize the cities – and world - we want. The Royal Bank of Canada recently published a report called “ Humans Wanted: How Canadian Youth can Thrive in the age of Disruption”. It is a very important document to read to understand the future job climate. 6. Mobility is a thing - your professional life will involve unexpected twists and turns. 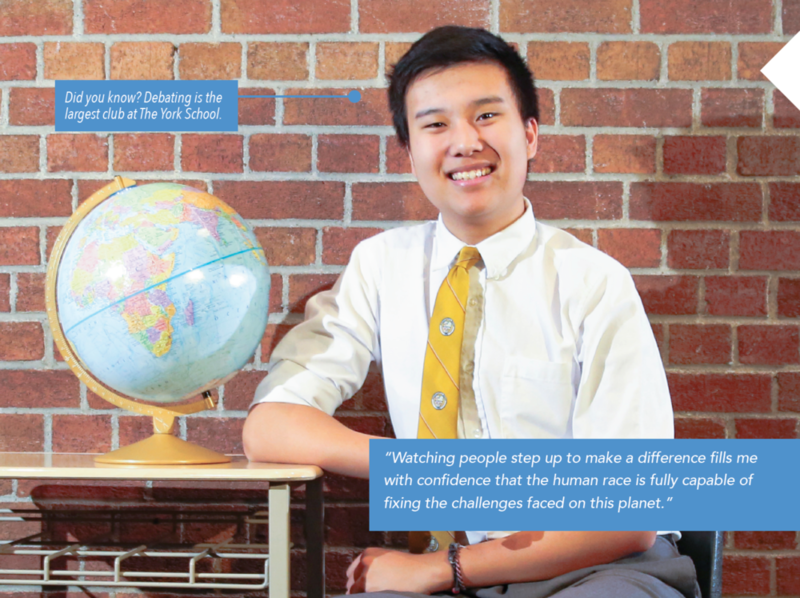 Because we are international, urban and innovative, The York School graduate is well poised to take on the world. So buckle up Yorkies and grab the handlebars (take the wheel). CultureLink launched Bike Hub, an organization that supports local cyclists and fosters a culture of repair and reuse. We help people fix their own bicycles, and provide bike repair workshops on-site and in the neighbourhood. Have you seen the VR video rendering of our new Junior School Playground? Come see what the children will be playing on in September 2019! Last week the YPA welcomed Lisa Pont, an expert in the area of youth and technology use, to share her insights and knowledge around the issues of screen time, social media, online security and more. Find her presentation here.